As the organizing country of the 2020 Olympics and Paralympics, Japan will become the world’s biggest stage for athletes across the world. Come enjoy sports in Japan with friends from around the world. Sports has long been a significant part of Japanese culture. Traditional sports such as sumo, judo and other martial arts as well as Western sports like baseball are popular both for participants and spectators. There are also sports activities one may enjoy outdoors in beautiful natural surroundings. As the organizing country of 2020 Olympics and Paralympics, Japan has become center stage for athletes from around the world. Sports are an essential part of the Japanese culture. While Western sports like baseball and football are well-accepted in Japan, traditional Japanese sports such as sumo, judo, kendo and some other martial arts are also popular. Some of these traditional sports are even accepted as official Olympic Games sports. Among traditional Japanese sports there are some, for example sumo, that date back to pre-Edo times. Nowadays, not only have these traditional sports have evolved as the culture has developed, they have become some of the most popular sports among high school students as well as sports enthusiasts at home and abroad. 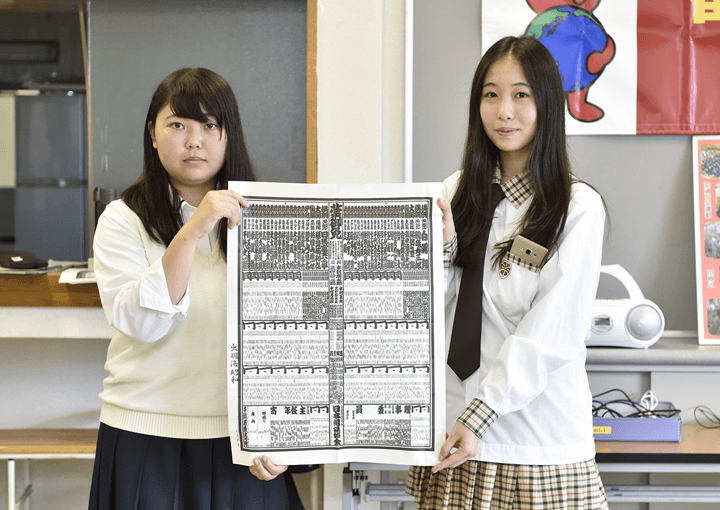 Students in Japan are encouraged to join extracurricular activities after school. 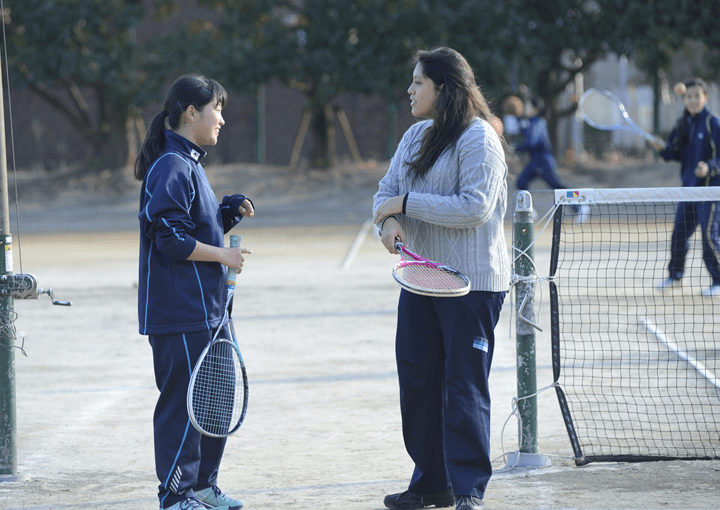 After-school clubs, especially sports team like baseball, basketball, volleyball and soccer in high school are popular. Traditional sports such as sumo, judo, and kendo are also very common. Aside from traditional culture, you can also enjoy all kinds of outdoor activities while immersed in the breathtaking nature of Japan. 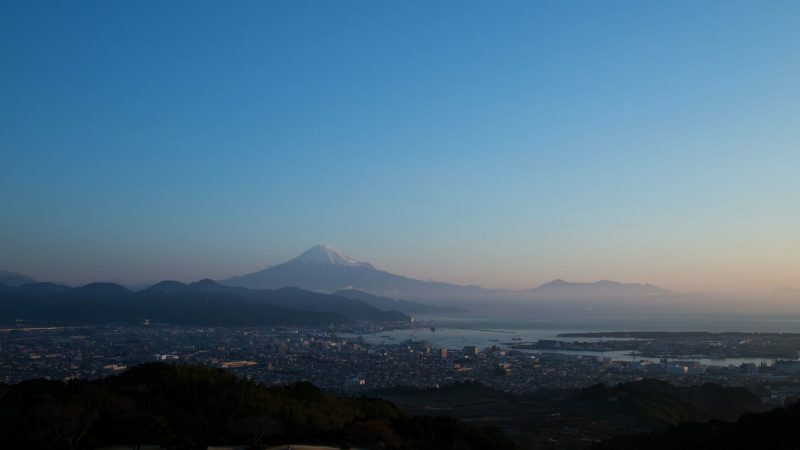 With its temperate climate, mountainous landscape and beautiful coastline, Japan is as close as it gets to heaven for the outdoor sports lover. From trekking and canyoning in the mountains, to snorkeling, paragliding and white-water rafting, this paradise for outdoor activity devotees is never short of fun all year round. Sumo and judo are two of the traditional Japanese sports that have successfully endured through the rapid development of post-war society. Sumo is a competitive full-contact form of wrestling that started as a religious event. Many sumo rituals are closely related to the Shinto religion that is unique to Japanese culture. Another traditional sport that is closely related to Japanese culture is judo. Judo is often characterized as a modern martial art which later turned Olympic Sport. It is quite common in Japan. Not only are there judo schools teaching judo to children and adults, but most high schools also have school clubs for this sport. Originating as a religious occasion, Japan’s national sport sumo to this day still retains many rituals closely related to the Shinto religion. This sport is a competitive form of wrestling where “rikishi,” Japanese for sumo wrestler, attempt to force their opponent out of a ring or into touching the ground. Sumo wrestlers may be famous for their body size, but just like any other professional sporting atheletes, they lead a highly regimented life of training and competition. Nowadays, sumo is a popular sports among spectators. There are six Grand Sumo tournaments every year. Come watch these skillful wrestlers compete against each other in Japan. There are six Grand Sumo tournaments being held each year. Wrestlers from all around the country gather together to fight against each other for two-weeks to win the tournament and to reach the highest rank. Watch these impressive sports matches for a taste of an authentic Japanese culture. Originally created as a teaching method to train people physically, mentally and morally, judo has evolved from a martial art into an Olympic combat sport. Literally meaning “the gentle way,” judo is more than just a set of techniques, it is also a philosophy. Nowadays, judo has spread well beyond the Japanese archipelago, attracting thousands of people worldwide to participate this special sport that trains body as well as mind. 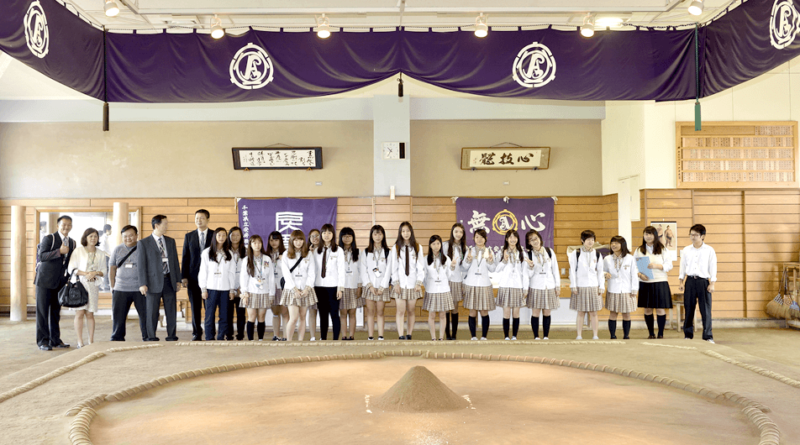 Being a common traditional sport, most high schools in Japan have a judo club. There are privately run judo schools outside of high schools, too. Join a school club or one of these private schools to learn this traditional martial art in its traditional home Japan! Tokyo Hakone Round-Trip College Ekiden Race, or “Hakone Ekiden” for short, is one of the most viewed of Japan's university relay marathon races. It is held between Tokyo and the popular tourist destination Hakone each year on January 2 and 3. It was started in 1920 by the father of Japanese marathon running Shizo Kanaguri to foster runners to compete on the world stage. The total distance of the relay race is roughly 218 kilometers, and is telecast on Nippon TV. Japanese novel Run with the Wind is also based on the Hakone Ekiden, and has been adapted into manga, film and anime. If you’re a runner, don't miss out on this museum of the most famous relay marathon in Japan! The museum has a variety of exhibits showing the history of the race, its star atheletes as well as footage from the past marathons. Extracurricular activities, especially sports club like baseball, basketball, volleyball, softball and soccer are popular in Japanese in high schools. 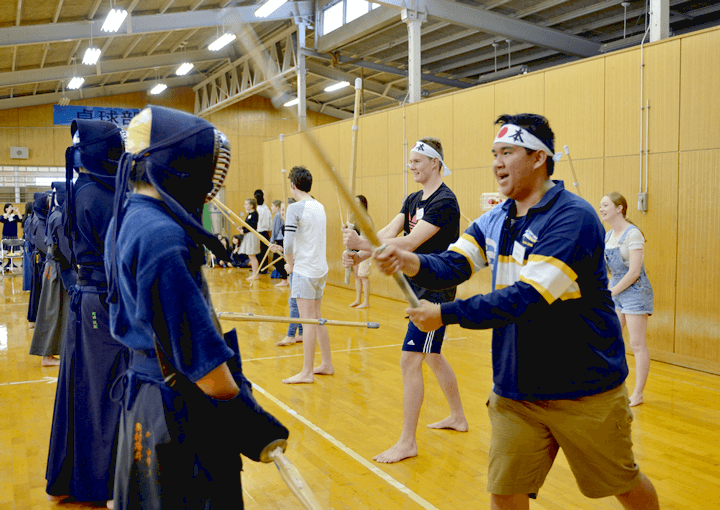 There are clubs for traditional sports such as sumo (traditional wrestling), judo (martial arts), and kendo (traditional swordsmanship) as well. Among all the sports, baseball is particularly popular among high school boys. The Japanese High School Baseball Championship, known as Koshien and watch by millions on TV, is one of the biggest events for students on these school baseball teams. directions_walkJoin a School Club While You're Here! Many students in high school in Japan join after-school clubs, especially sports ones such as baseball, basketball, tennis, volleyball, etc. Most students are very serious about their club activities. Sports clubs often go on overnight training camps, and they participate in regional and even country-wide contests to win the glory for themselves as well as their schools. Extracurricular activities are very popular among high school students in Japan. Joining an after-school sports club is the fastest and the easiest way to make friends in high school. Enjoy Sports Surrounded by Nature! Rich in natural resources, you can enjoy a variety of sports while immersed in beauty of Japan’s nature. From the mountains to the sea, there are always outdoor sports you may enjoy throughout the seasons. No matter if you are a rock climber, ski-lover, or water sport enthusiast, Japan always has just the place for you. 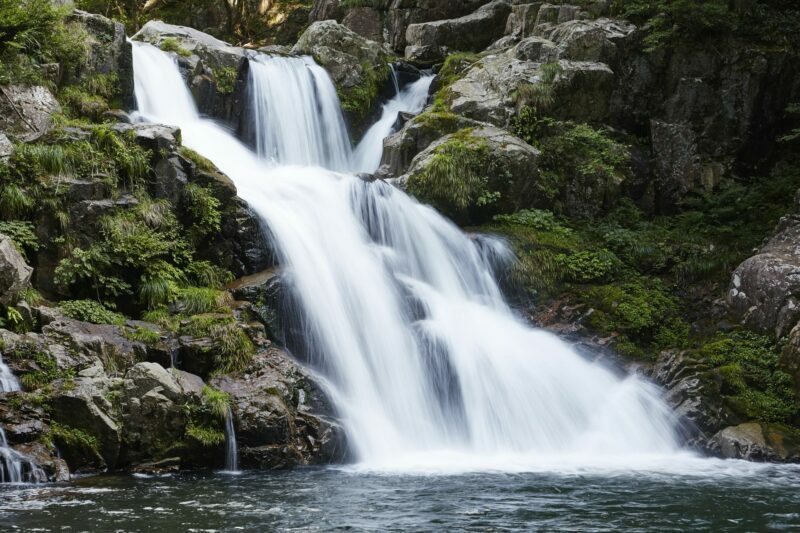 Enjoy the breathtaking nature and take a leap of faith with canyoning in Japan. There are a number of canyons that are suitable for canyoning, including the Kinugawa River at Nikko and Fujigawachi Valley. Follow trails to take in the lovely nature of these locations. Canyoning is a challenging outdoor activity that often requires a variety of skills including hiking, climbing, jumping and swimming. In someplaces you might even have to jump from a meters-high rock! It sure is an exciting way to enjoy nature! Enjoy the magnificent views and the refreshing environment with canyoning. Put on your helmet and follow the coach, let's go and explore the Fujigawachi Valley! When it comes to outdoor sports in Japan, for most people winter sports like skiing and snowboarding come to mind. However, the water sports are quite common and popular too! The southern island Okinawa is the most famous for cave snorkeling and scuba diving, while surfing is quite popular at the Izu Islands. Get wet and wild this summer with these exciting activities! Explore Japan with exciting water sports! Scuba diving, snorkeling and surfing are popular on the southern islands as well as along coastal areas. 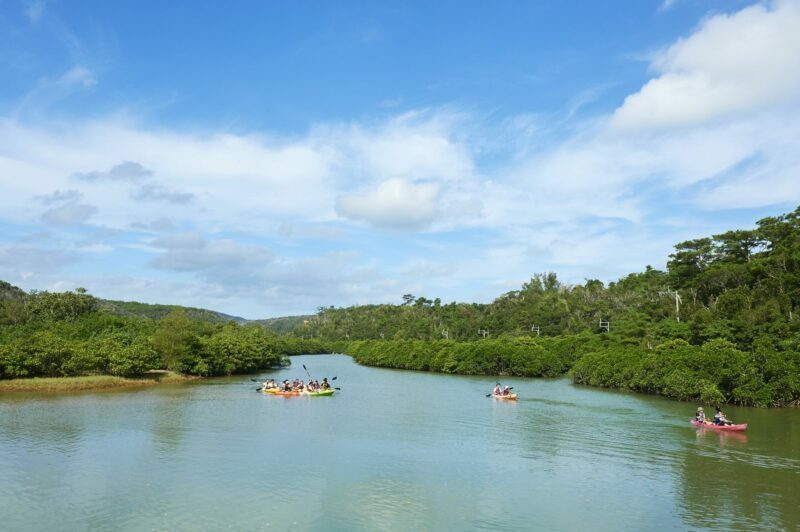 Or you can raft through a mangrove forest with local guides to enjoy the wonderful nature here. You can see magnificent sea world in Kerama islands. 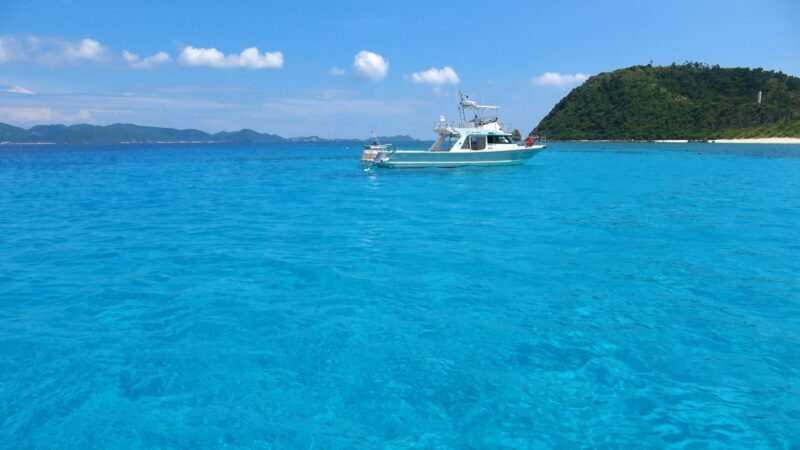 The stunning blue of the ocean around these islands is so distinctive it has its own shade named for itー Kerama blue. 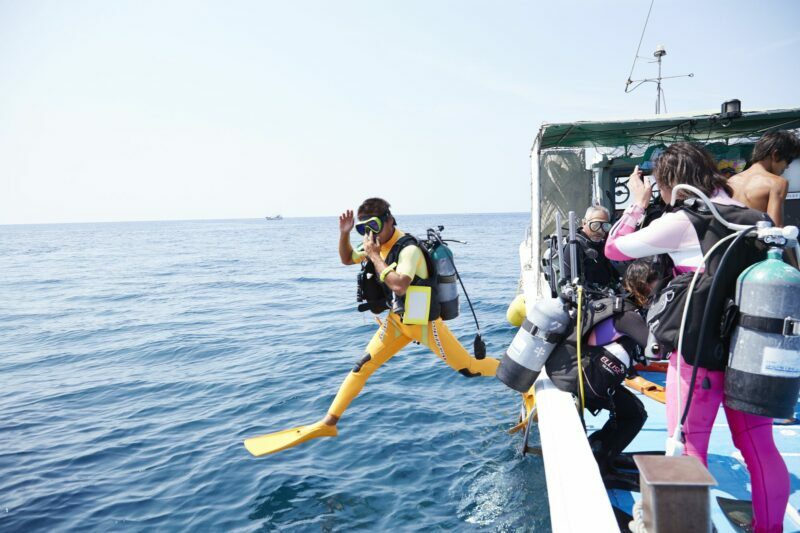 The sea of Wakayama is a famous diving site in Kansai area for watching various kinds of sea creatures. 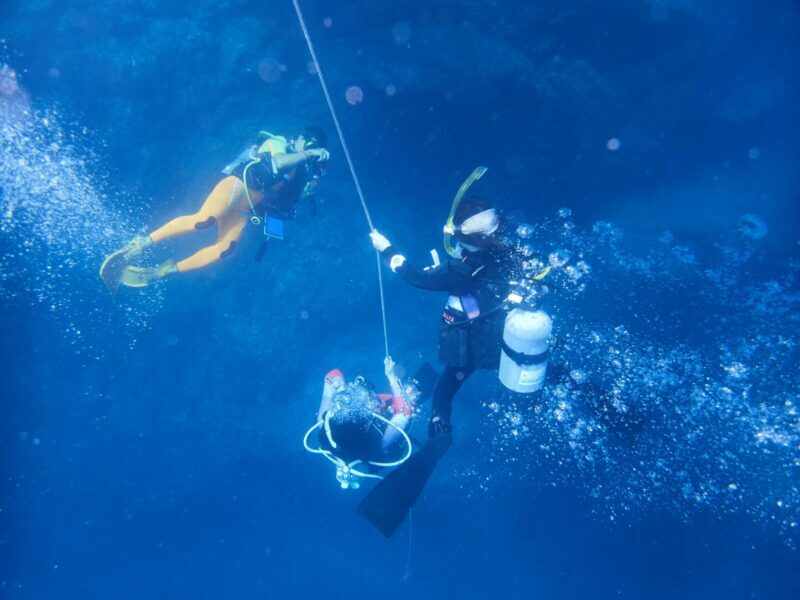 You can dive in mainly Kushimoto, Shirahama, and Minabe. Iriomote Island is the largest of the Yaeyama Islands and one of the wildest places in Japan. 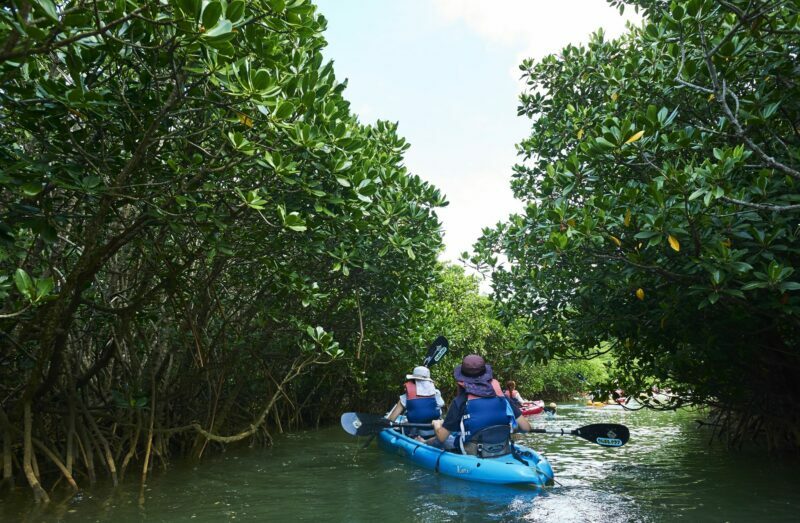 You can explore tropical landscapes, waterfalls, and mangroves by kayaking. 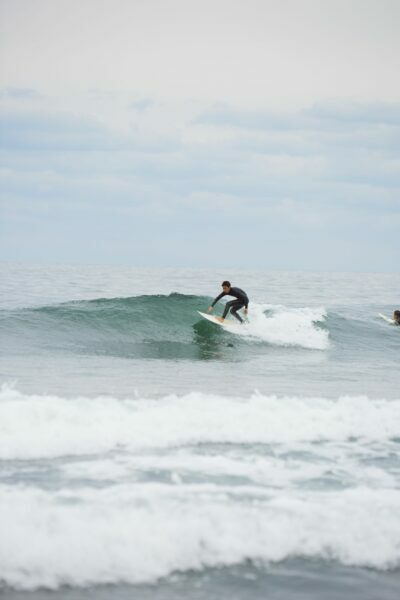 Miyazaki is one of Japan's most renowned surf destinations. You can find some world-class surf breaks to rival any surf location. 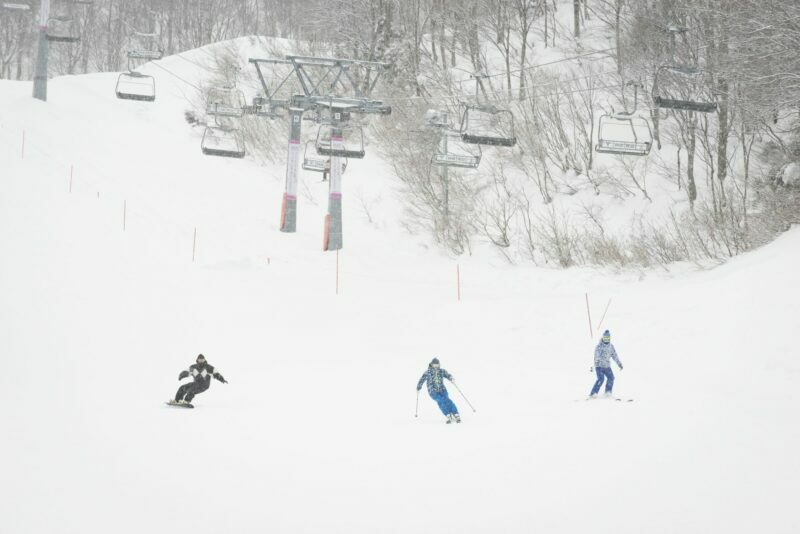 For ski-lovers, Japan is definitely the country to go to in East Asia. From November to May annually, tourists from around the world swarm into ski resorts throughout Japan to enjoy the wonderful powder snow here. Some resorts even take advantage of the local onsen, providing relaxing ski-and-hot-spring packages! It is also a great place for professionals to try out their skills. There are many ski resorts all across the country. Some of these are best for professionals or experienced ski-lovers, while others are beginner-friendly. 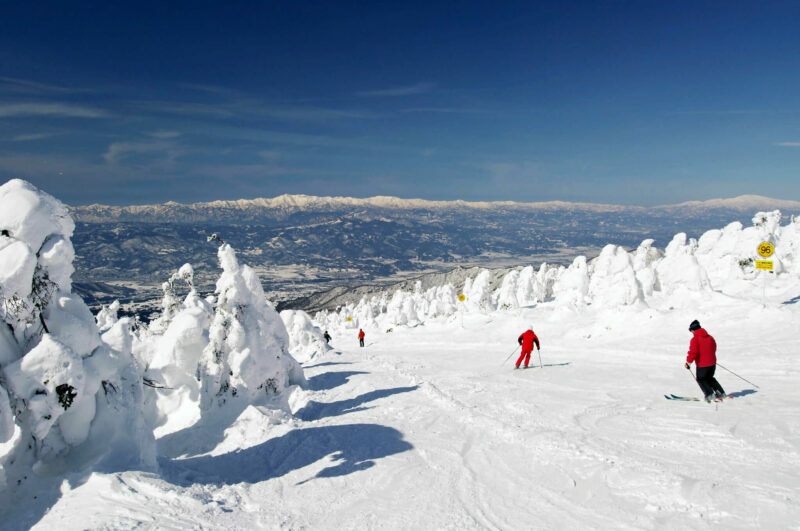 Popular ski hot spots include Hokkaido, Nagano and Niigata. Each of these places has different types of snow, slopes and pistes for skiing and snowboarding. If you’re a new to skiing, some of these ski resorts also provide beginner class in English and Japanese. 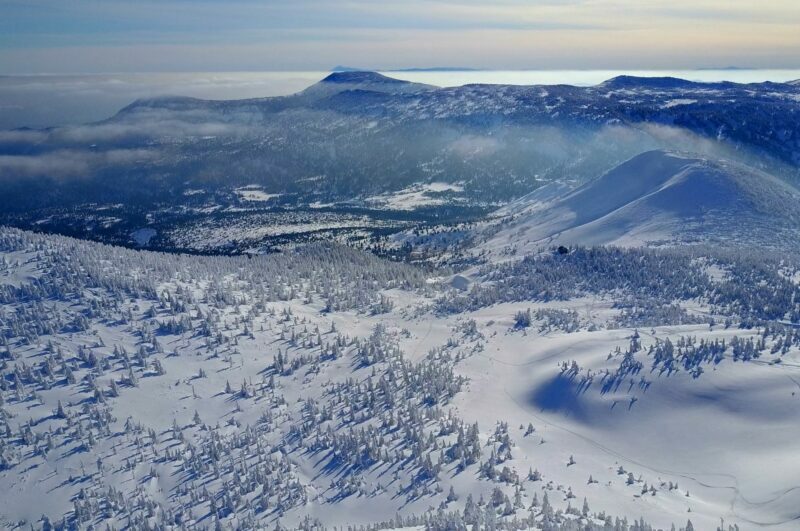 Hokkaido in general is known for its snow, but the Niseko area, southwest of Sapporo, is the most famous ski area in Japan for its powdery snow and welcoming attitude. 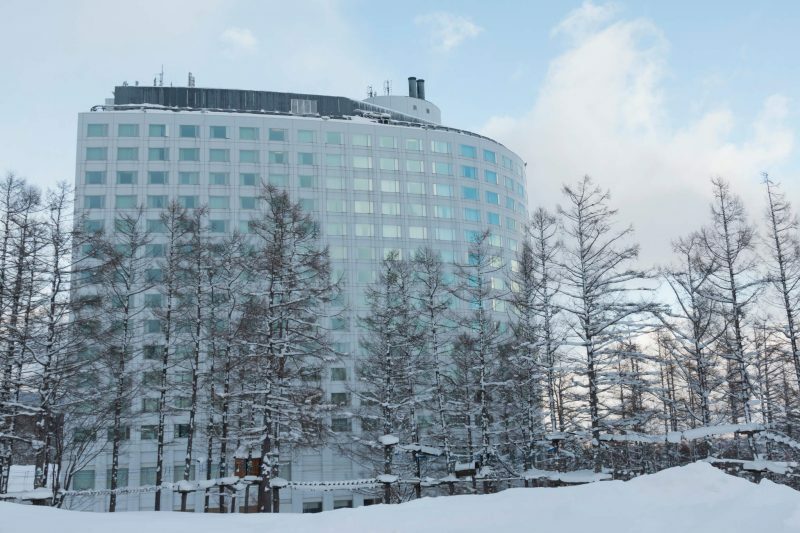 Hakkoda Ski Resort is in Aomori prefecture, the resort offers you to ski with magnificent view. 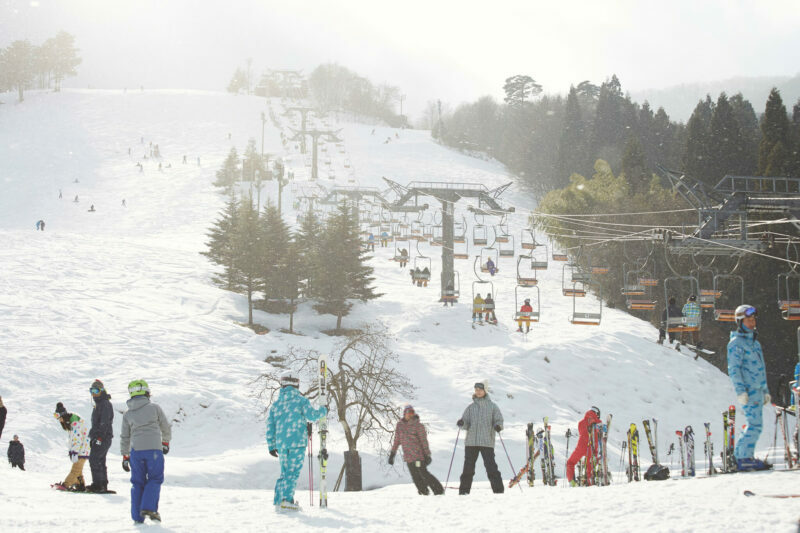 Zao Ski Resort in Miyagi prefecture has its small, hot-spring village charm. The vast mountainous landscape is under the watchful eyes of the “snow monsters”. Gala Yuzawa Ski Resort in Nigata prefecture is connected to Gala Yuzawa station, and it is easily accessible by using Shinkansen (bullet train) from Tokyo. 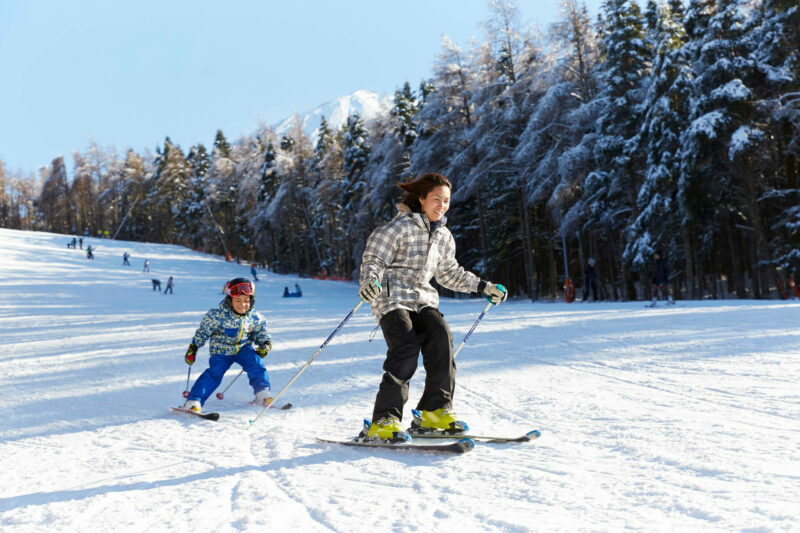 Stretching nearly 30 kilometers along the base of the Hakuba Range in Nagano's Northern Alps, Hakuba Valley is home to some of the country's best snow and Japan's biggest ski resort. 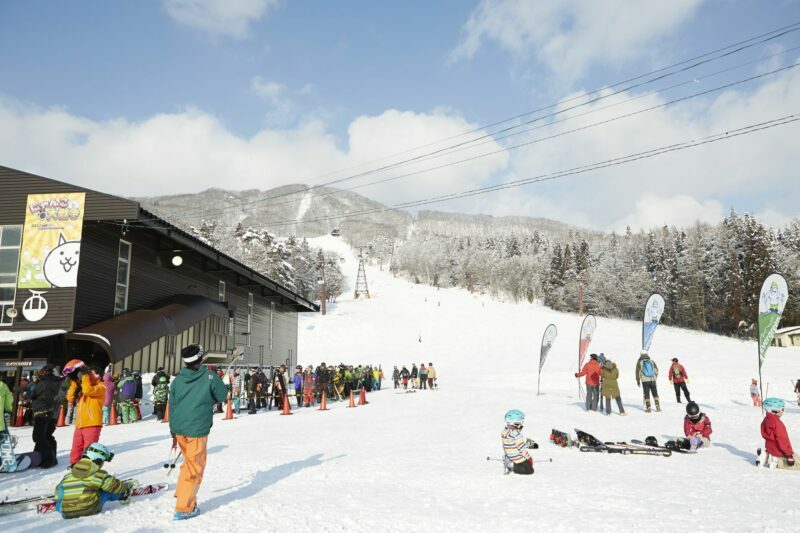 The Shiga Kogen Ski Resort, in the mountain town of Yamanouchi, offers an enormous variety of winter sports options. directions_walk Join a School Club While You're Here!